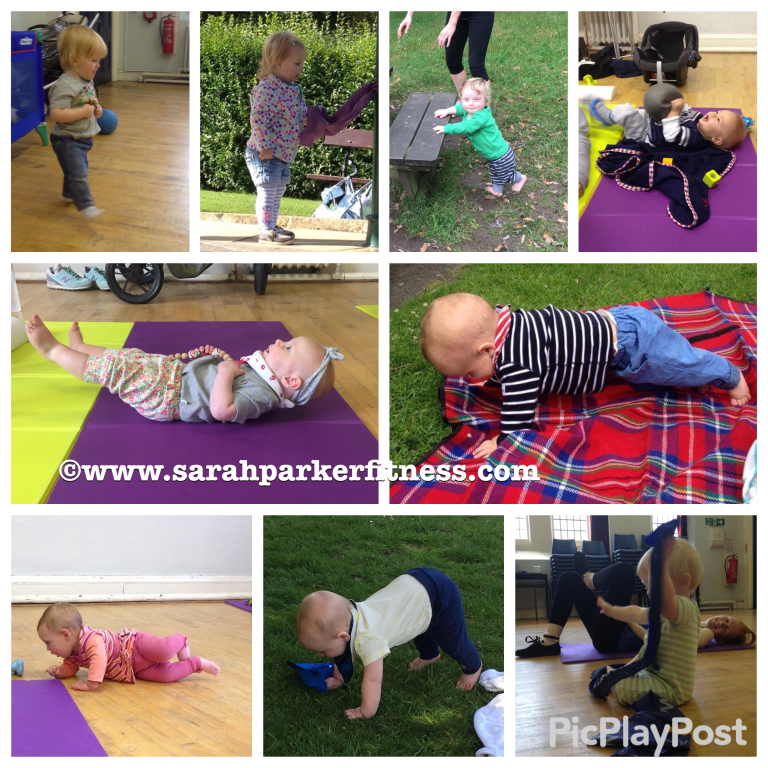 Blog » Is postnatal exercise just for YOU? Is postnatal exercise just for YOU? I saw an advert for a postnatal exercise class the other day that had a line about how mums were deciding to be selfish and take time for themselves. Now I’m all for me-time as an essential part of a mums postnatal recovery and don’t see that as being selfish at all – in fact, if anything, mums aren’t selfish enough and always seem to put themselves at the bottom of the to do list. But in addition to mums deserving to do something that benefits them, I also see so much benefit to the babies coming along to exercise classes too. The NHS states that babies should be encouraged to be active throughout the day and avoid being sedentary for long periods of time – in car seats, pushchairs, bouncers etc. This is why in my buggy class we tend to exercise in one area so that the babies can be let out on to the floor whenever possible! And in Pilates, unless they’re sleeping, babies can get over an hour of play on the mat – giving them loads of room to roll, rock or for tummy time. Babies getting the chance to be active along with their mums is good for two reasons: first, they’ll see exercise as a normal and fun thing to do and secondly, they learn by copying. Being active also helps the brain to develop. There is some degree of sensory play in class as well – the balls, bands, mats and dumbbells are all a source of fascination. One baby’s first crawl was because she wanted to get to the dumbbells!! Outdoors the leaves and grass give vital feedback about their surroundings – and help their immune system too. The fresh air is good for them and as an added bonus may help them sleep better! The social aspect of the classes is also key – I know my daughter first started walking because she clocked an older child doing so. I watched her watching him and as soon as she got home she grabbed hold of the high chair and off she went!! There is also a lot of enjoyment in just watching their mums – I’ve a few video clips of babies laughing at the exercise! And in Pilates there is often a very chilled feeling to the start of the class as the babies watch the flowing movement – they sometimes seem mesmerised!! There have been lots of developmental firsts in my classes, from first rolling and crawling to first standing unaided and first steps. Given time and space and a great example from mum gives the babies lots of opportunity to develop – so turns out class is as good for them as it is for you!! Click here for Sarah’s Facebook page. Click here to read the NHS’ guidance on when it is safe to exercise after birth.